Magee’s Volunteer Services Department recently hosted its annual Volunteer Appreciation Party. The summertime setting was the Three Seasons Therapy Room located on our sixth floor Creative Therapy Center and Healing Gardens. 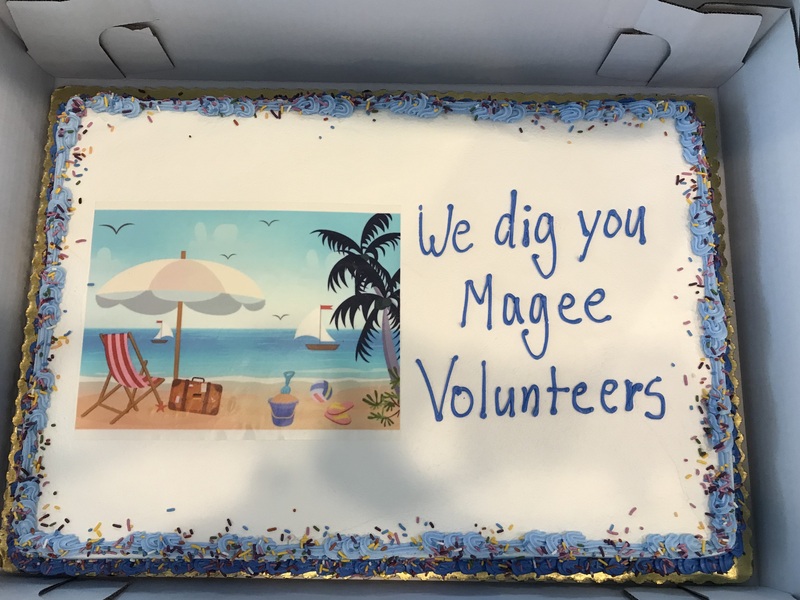 We had a great turnout with 40 volunteers in attendance to celebrate their dedication and time at Magee. The festivities began with opening remarks by President & CEO Dr. Jack Carroll, followed by Stephanie Rivera and Meg Rider of the Volunteer Services team. After that, our volunteers enjoyed a beach-themed lunch provided by Magee Dining Services and live music performed by Mike Parry. Thank you to our awesome staff volunteers for helping to serve lunch: Michelle Marshina, Ron Siggs, Mark Chilutti, and David Pliszka. 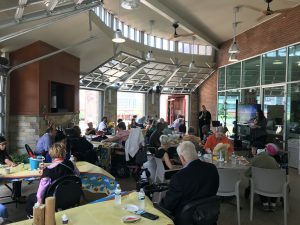 It was great to have everyone together to honor our volunteers for all of the hard work they put in for our patients, staff, and family members.